Strong Q1 revenues, but uncertain 2012 outlook and layoffs and restructuring ahead. Will a cheaper meter help? Looks like Echelon is going to be building cheaper smart meters, as well as supplying technology to regional partners, to take on emerging markets for smart meters and the smart grid. On Wednesday, the San Jose, Calif.-based company announced it was launching a new, cheaper smart meter, aimed squarely at developing economies in Asia, India, Latin America and the Middle East. 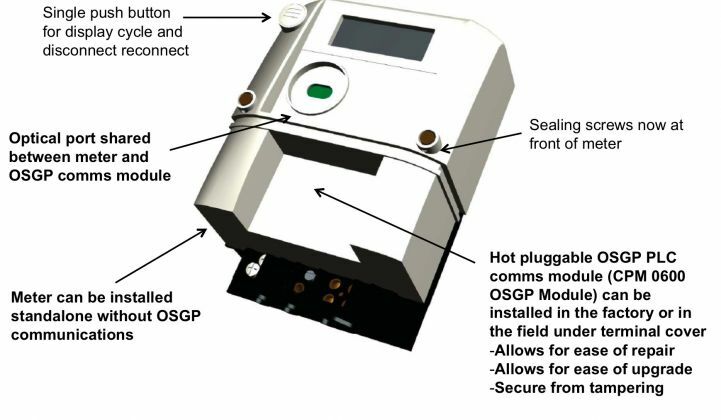 The new meter not only comes at a lower price point, it also can be deployed without the "smarts" of the meter included, and have those added later via a hot-swappable module installation. The new MTR 0600 meter will be available in the second half of 2012, the company announced. While Echelon hasn't said how much cheaper its MTR 0600 meter will be, compared to its existing MTR 1000 meter for residential deployments, it's clearly aimed at competing with regional metering companies with low-price devices. Echelon also reported first quarter 2012 revenues of $40.3 million, up 42 percent from the same quarter last year -- a positive bit of news during a time when smart meter makers are struggling with slowing sales. Even so, CEO Ron Sege said in a conference call that Echelon wasn't sure if its existing pipeline of orders would convert to revenues through the rest of 2012 at the rate the company hoped for, given that "utility awards in our target markets are being delayed due to the macro environment." As a result, the company is planning to reduce its workforce by up to 10 percent, with a related charge of $1.2 million to $1.7 million in the second quarter of this year, with a goal of cutting operating expenses by 5 percent to 10 percent over the next 12 months or so, the company announced. Echelon stock had slipped to just under $4 per share in midday Thursday trading, down about 8 percent from the previous day's close, and in keeping with the company's slow but steady decline from the $10-and-up price its shares commanded in the spring of 2011. Of course, Echelon has also been selling bits and pieces of its technology to regional partners, including Tuesday's launch of a new control module it will provide to partners serving China, South Korea, Thailand and Malaysia, to help them convert their existing meter products more quickly. Partners including Mitsubishi Electric Automation in Thailand, South Korea’s VIDCOM, Malaysia's Comintel, and existing partner China’s Holley Metering plan to use the technology, which will also be available later this year. It’s another step in the San Jose, Calif.-based company’s new strategy for making inroads into countries like China, India, Brazil and South Africa and other emerging smart grid markets in Latin America and Southeast Asia. These countries often have incumbent meter manufacturers that want to own future smart meter markets, and governments often impose mandates for local manufacturing. 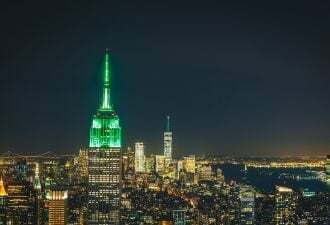 That makes local partnerships essential for the big North American and European smart grid vendors trying to break into the next wave of smart grid deployments. The list of contenders includes the likes of Itron, Landis+Gyr, Elster, Trilliant and Silver Spring Networks, and of course the big four grid giants, Siemens, Schneider Electric, General Electric and ABB. Echelon, on the other hand, has been licensing parts of its core technology to meter manufacturing partners like China’s Holley and Brazil’s ELO Sistemas Electronicos in hopes of driving future sales of equipment, software and services. Tuesday’s announcement expands those relationships to include Echelon’s control nodes, which are devices made to connect a host of devices, including smart meters, via a software platform that Echelon has opened to third-party developers. Right now, Echelon’s newly announced Asian partners are looking to use the technology to pull grid power sensor data from the smart meters themselves -- a function made a bit easier by Echelon’s use of power lines to carry data, which opens up the power signal for analysis. The idea of tying multiple smart grid systems into a single platform isn’t new. Smart grid startup and IPO hopeful Silver Spring Networks does home demand response and energy management, plug-in EV chargers and solar panel inverters via its smart meter network, for example. But Echelon’s open approach could yield a wider selection of potential partners, even if only one company, grid fault detection sensor maker Tollgrade, has signed up so far. Echelon opens its system to software developers via a set of standards called the Open Smart Grid Protocol from the European Telecommunications Standards Institute (ETSI), which codifies a set of methods for linking multiple smart grid functions over powerline carrier networks.